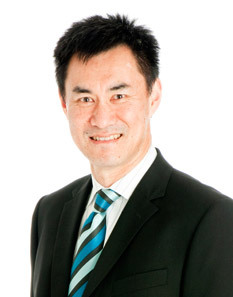 Philip Wong was born and raised in Auckland. He completed his medical degree at the School of Medicine, University of Auckland in 1984. His physician training was at Middlemore and Auckland Hospitals and was awarded the Fellowship of the Royal Australasian College of Physicians in 1991. He then moved to the Institute of Liver Studies, Kings College Hospital, London, UK to study liver disease and transplantation medicine between 1991 and 1994. He has been in private gastroenterology practice and has had a permanent Gastroenterology appointment at Auckland City Hospital since his return to Auckland in 1994. He is happily married for nearly 25 years and has 3 grown up sons. Cycling is his passion outside medicine. Extensive experience in diagnostic and therapeutic upper GI endoscopy (gastroscopy), lower GI endoscopy, bowel cancer screening (colonoscopy), and endoscopic retrograde cholangiopancreaticography (ERCP). All things gastroenterological and liver disease, in particular, hepatitis B and C.